The world's best food for less than $5. Synonymous with fine food and dining, the Michelin guide broke decades of tradition in 2016 by creating a section dedicated solely to exceptional street food. Just a year later, Hong Kong – a culinary powerhouse renowned for its East-meets-West food philosophy – boasts an incredible 19 Michelin-rated street vendors. Proof that you can never judge a book by its cover, hole-in-the-wall street vendor Fat Boy has foodies lining up to try their chilled octopus and duck stomach skewers. Though they may not sound particularly appetising, one mouthful is all it takes to discover what the fuss is about. Be sure to add a generous splattering of mustard or zesty seafood sauce. 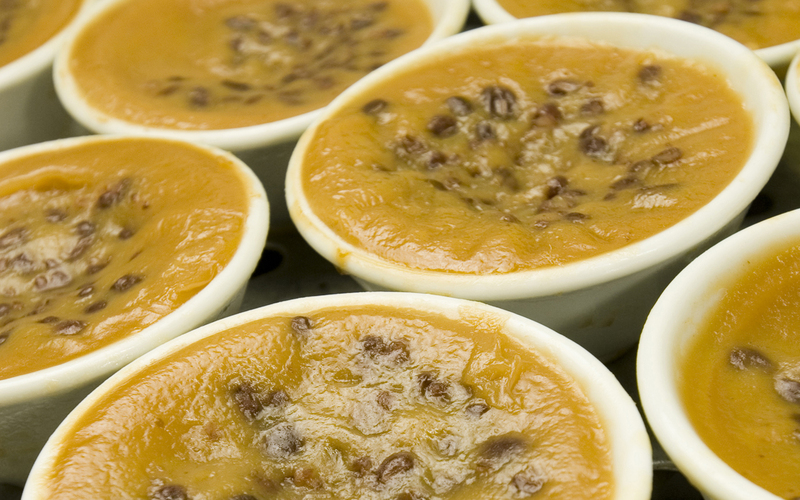 Not to be confused with the similarly-named Keung Kee Meat Restaurant, Keung Kee in Wan Chai is a must-visit. Their glutinous rice with assorted preserved meats is incredible, while its smooth-yet-chewy rice rolls and sweet soup are next-level. Though the shopfront may not be much to look at, the food speaks for itself. What’s better than a deliciously fluffy pancake? A deliciously fluffy waffle pancake, that’s what. Soft on the inside, crunchy on the outside, your first egg pancake from Mammy will definitely not be your last. The classic egg variety is the one Michelin reviewers are raving about, but there are a few other mouth-watering flavours on offer, like chocolate chip, sesame, and green tea and red bean. Wait time is usually around five minutes, and it’s worth it. Sham Shui Po is renowned for its street hawkers and cheap eats, so it’s really no surprise this neighbourhood caught the attention of Michelin reviewers. Hop Yik Tai specialise in Cantonese Zhu Chang Fen, or rice noodle rolls. Though the snack-size cuisine is not really known for its flavour, Hop Yik Tai has performed some kind of witchcraft that not only makes them flavoursome, but aromatic, too. Another standout dish is the fish balls with radish. It’s not hard to locate the stall — just look for the long queue. Conveniently located right outside the B2 exit at Sham Shui Po MTR Station, Kwan Kee is the place to go for old-school sweet and savoury treats. Made fresh daily, you can see the team grinding rice flour in the early morning. Chinese rice pudding, white sugar cake and black sesame rolls are the standouts, but, really, they’re all good. If you have a craving for cheap and tasty Korean food, you can’t go past Kelly’s Cape Bop in trendy Wan Chai. Masters in the kitchen, they are renowned for Tteokbokki, a stir-fried rice cake served in a hot and spicy sauce, and kimbap, the Korean version of sushi. They also make their own kimchi, a traditional Korean side dish of pickled cabbage and radish. Their Instagram-worthy presentation is guaranteed to have your friends green with envy. Choux pasty and gelato are a match made in heaven, and Owl’s in Tsim Sha Tsui has the market cornered – literally – at their prominent corner store location. It’s the perfect choice when you’re craving something sweet. Their mouth-watering flavours include the zesty Mango Tango, the naughty-but-nice Praline Noir, and the oh-so decadent Red Velvet.